Anyway, Happy Holidays, Merry Christmas, Happy Hanukkah, Happy Kwanzaa, or even just Happy Sunday…whatever it is and however you like to celebrate it, I certainly hope it’s good for you. Santa is actually the Spirit of Christmas Present. 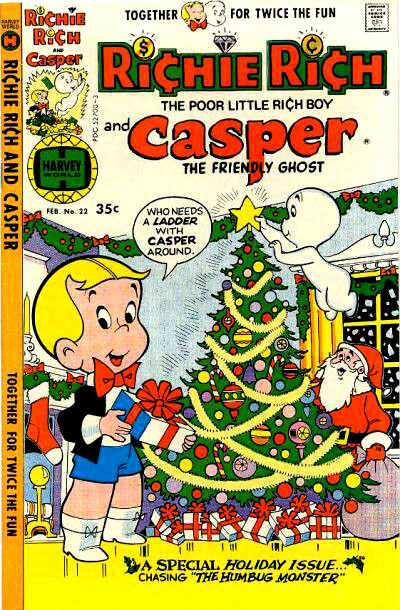 Heck, he COULD be the “Jacob Marley” of this tale, if he and Richie were both greedy bastards together. Either way, they need to teach young Trump…e…I mean Richie, the error of his capitalist ways.